Samoa’s new golden girl, Feagaiga Stowers, is not just a Commonwealth Games Champion. She is an overcomer and a conqueror of unimaginable odds. Several years ago, Stowers’ young life hit a snag. 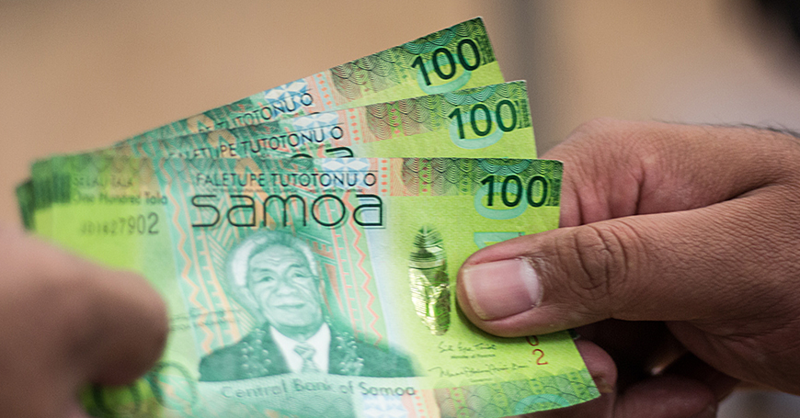 The victim of abuse, she was among the survivors of sexual violence who sought refuge and given a second chance at life at the Samoa Victim Support Group (S.V.S.G.). Well that girl was not the one the world saw at Carrara Sports and Leisure Centre at the Gold Coast on Monday night. When she stepped up to the competition platform in front of thousands at the stadium and millions watching from around the world, 17-year-old was smiling and confident, nailing the performance of a lifetime. Stowers was up against the heavy favourite, New Zealand transgender athlete Laurel Hubbard. But the blessings were on her side. When Hubbard bowed out with an injury, victory was for Stowers to take. She went on to manage 140kg in the clean and jerk, giving her a total of 253kg. During the medal presentation, she cried as the “Samoa tula’i” national anthem rang out loud and proud inside the stadium. Those tears came from a deep place, she knows what she has been through to get to where she is today. Yesterday, the President of the Samoa Victim Support Group, Siliniu Lina Chang, congratulated Stowers. “Congratulations and best wishes Feagaiga. We are so proud of you,” Siliniu said in a statement. “When the news of Samoa’s Commonwealth Golden girl Feagaiga reached us, we were humbled by the extent of her determination to rise up, by her resilience to see hope in her talent, by her successful reintegration." Siliniu said Stowers is a very unique individual. 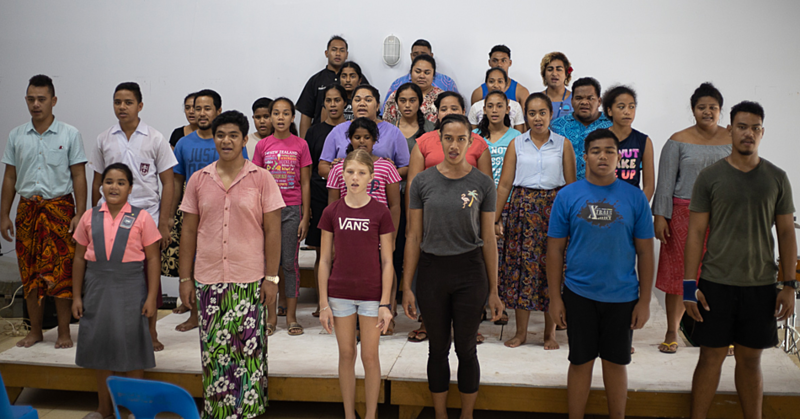 “At the Campus of Hope, Feagaiga was not into singing, dancing, sewing or cooking, but through weightlifting, she found a way to release her anger and her sense of hopelessness." 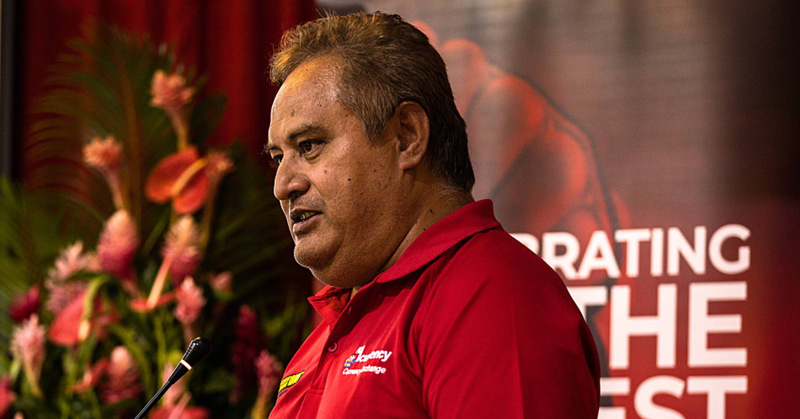 “Under a partnership with the Samoa Weightlifting Federation in 2015, some of our girl survivors of violence took up weightlifting as part of their rehabilitation programme, included in them was Feagaiga. Thank you Tuaopepe Jerry Wallwork, President of the S.W.F. for your commitment to develop the talents of the girls in weightlifting." “From the 2015 Commonwealth Youth Games in Apia to the 2016 Oceania Weightlifting Championship in Fiji to the Oceania Training Camp in New Caledonia, Feagaiga’s story of rehabilitation culminates with the Gold Medal at the 2018 Commonwealth Games." When Stowers first took up weightlifting, she was offered a scholarship to attend a Training camp in New Caledonia. “God has been so good to me,” she told the Samoa Observer at the time. “This sport gave me a second chance in life and for that I am so grateful to the man who gave me hope and made me the person I am today Tuaopepe Jerry Wallwork." “Before I was just this girl at the S.V.S.G searching of where to start from again but our coach gave me hope." Well she’s more than that of course. She is a Commonwealth Games Champion, who will continue to beam as a ray of hope for young girls and women who might be going through what she had to overcome to get to where she is today.